Animal-assisted therapy, or AAT, is the use of trained animals for therapeutic purposes. Through AAT, a person can develop skills to help in managing physical, cognitive, and/or emotional limitations. Settings for and uses of AAT may vary, such as hospital rehabilitation programs, group therapy for mental health, or speech therapy for children. AAT is a treatment process intended for optimal healing and goal-oriented activities. Many people find comfort, safety, and security while around animals. Using animals as a source of support can assist a person in feeling more open and engaged in the treatment process. Dogs, cats, and horses are some of the most common animals utilized in AAT treatment sessions. Other animals that are less regularly a part of the AAT process include rabbits, birds, and dolphins. Psychotherapy is one of the most common treatment options for panic disorder. Through psychotherapy, a person can explore past issues, overcome negative thinking, develop more healthy behaviors, and better manage their symptoms. Despite the helpfulness of psychotherapy, there are some barriers to getting help for panic disorder that AAT may be able to break through. Many people find it difficult to open up to a therapist, but communication is an important aspect of the therapy process. By using AAT, a person may be able to more readily build rapport and trust with their therapist. 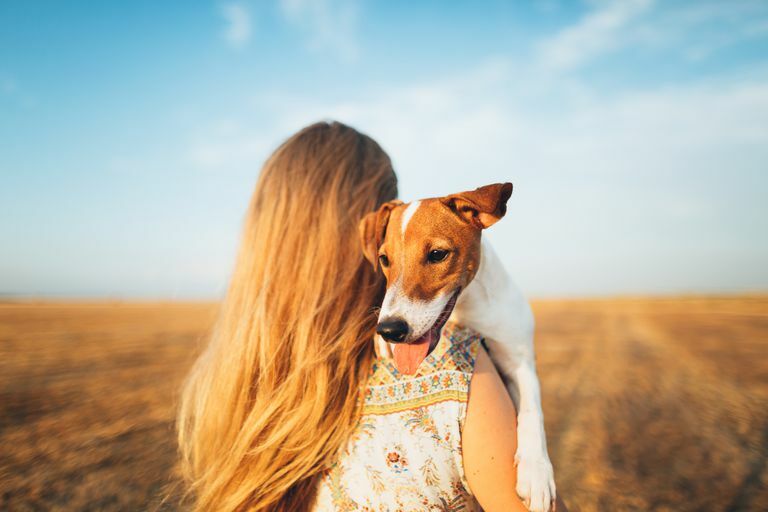 An animal can help a person feel more secure as they share personal stories, and can even serve as a calming distraction while they are feeling difficult emotions in therapy. Group therapy can also be enhanced through AAT by helping members socialize and feel comfortable with self-expression in a group setting. AAT can also help in dealing with common issues for people with panic disorder, such as improving low self-esteem, decreasing symptoms of depression, and combating feelings of loneliness. Research has shown that AAT can assist a person with a mental health condition in achieving growth and healing. AAT may aid in reducing feelings of stress and anxiety, creating a relaxed and supportive therapeutic environment. AAT animals and professionals who provide these services are not just bringing a pet into a therapy session. Rather, they are required to be thoroughly trained in AAT. Certification programs provide specific training criteria standards for both the animals and their handlers. For example, the handler will need to be able to recognize when the animal is becoming distressed. Training will also ensure that the animal has the most appropriate temperament, health, and obedience that will be required for its role in AAT. Information on training and specialists who offer animal-assisted therapy services can be located online through service directories, such as Pet Partners and Therapet. Practitioners who utilize animal-assisted therapy for mental health services must be qualified mental health specialists, working within the scoop of their profession. AAT can be used as part of the treatment plan, along with more traditional treatment options, including cognitive-behavioral therapy and medications for panic disorder. Some people may choose to adopt their own specially trained dog to assist in managing their condition. Formally referred to as service dogs, these animals are not deemed “pets,” as they are specifically trained to assist people with disabilities. A service dog may be an option if panic disorder and/or agoraphobia are severely diminishing a person’s quality of life. Service dogs may be able to assist in managing panic attacks, reducing anxiety, and increasing feelings of safety when leaving the home. Barker, S. B. & Dawson, K. S. (1998).The Effects of Animal-Assisted Therapy on Anxiety Ratings of Hospitalized Psychiatric Patients. Psychiatric Services, 49 (6), 797-802. Ernst, L. S. (2012). Animal-Assisted Therapy: Using Animals to Promote Healing, Nursing, 42 (10), 54-58. Pet Partners. Service Animal Basics. Therapet Animal Assisted Therapy. What is Animal Assisted Therapy?